Just listed this Navy Anchor Burlap Stuffed Pillow! 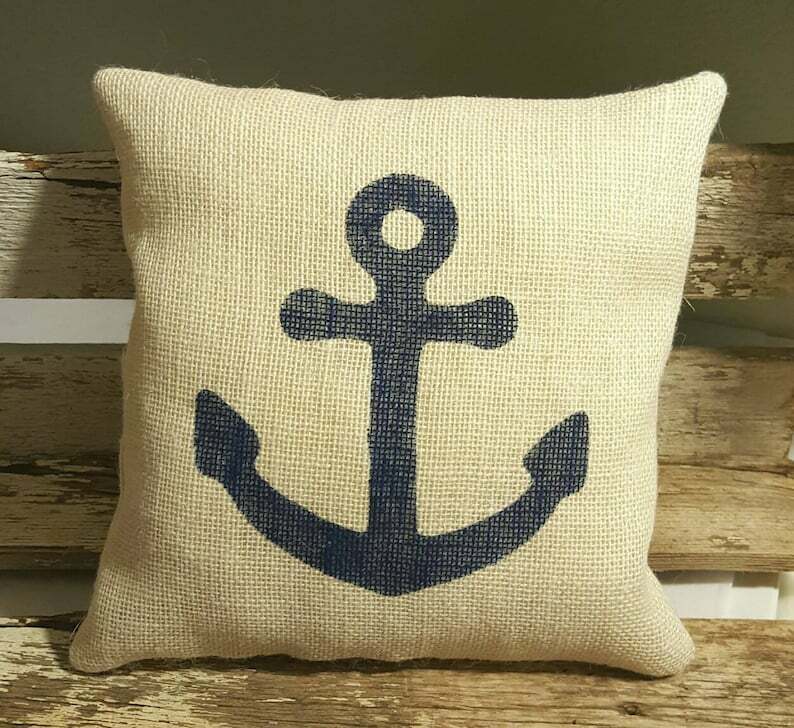 Burlap Navy Anchor Stuffed Pillow is made with a high quality burlap and lined with cotton muslin. I have lined this pillow so that no white fiberfill shows through your pillow, this gives your pillow a very sturdy feel. This pillow will look great at your beach house or summer home. Add this pillow to your nautical decor for the finishing touch. The anchor is painted navy on the front of the pillow.